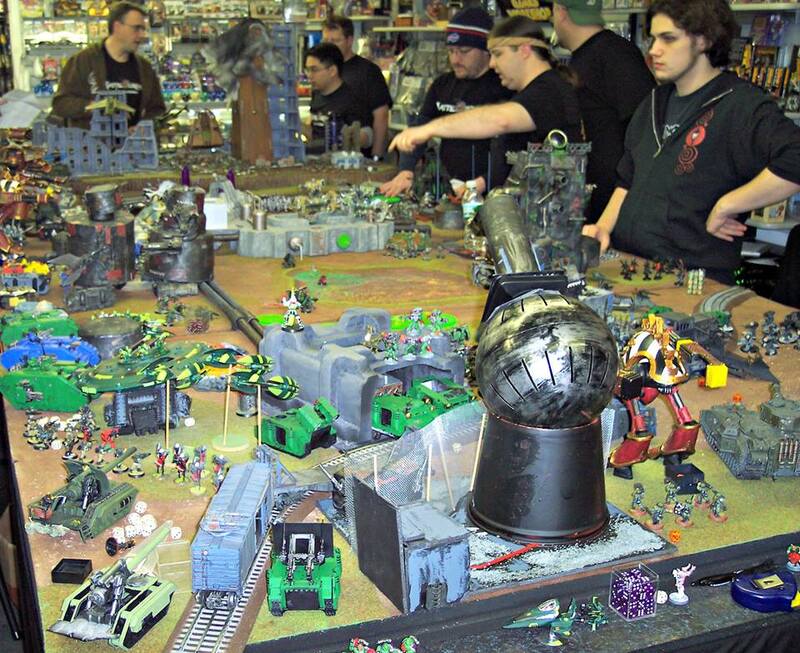 Learn how to survive the closing of your friendly local game store (FLGS). Guest Aaron Bostian has tips based on his experience of his FLGS shutting down. Communicate with one another. Social media can become your best friend. Look outside the box for gaming locations. Try someone’s home, bowling alley, library, yacht club, or VFW/American Legion/Church hall. Seek new players & new games. You don’t know what you will find nor where this will lead. Modify your gaming style. If you’re playing less than before, use your time to paint, to assemble, to research, or attempt other aspects of the hobby. Rearrange how you spend your wargaming money. Plan fewer trips to game stores further away. Buy online. Trade/swap with other gamers. Save more money to use for previously under-utilized areas of the hobby. Do you have questions, comments, or constructive feedback? Then please share it with us on Facebook, Twitter, or via e-mail at jonathan@wargamingrecon.com. I’m stunned and terribly saddened to hear of the passing of longtime listener Andrew. He helped to give the show the name Wargaming Recon. Andrew was a kind soul who selflessly gave of himself to help those around him. Despite being legally blind he taught children how to wargame. Wargaming Recon has lost a good friend in his passing. I ask all listeners to join me in a moment of silence in Andrew’s honor. iTunes is one of the most popular ways for listeners to find podcasts. Why not help a potential new listener find our show and help grow the hobby? As a thank you to those backing the show on Patreon I will be releasing episodes to them before anyone else can get the episode. Don’t want to wait? 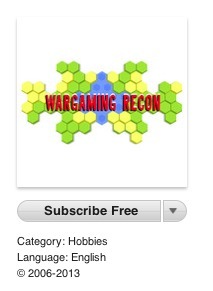 Why not support Wargaming Recon through our Patreon. It costs just $1 per episode roughly $2 per month. That is less than a cup of coffee. Jonathan is recording Wargaming Recon LIVE for your viewing pleasure. You can watch the live streaming episodes through our brand new LIVE page. It shows the live streaming recording, a calendar of upcoming live recordings, and it features a chatroom for you to chat with other listeners and with Jonathan! Please visit our LIVE page to be an active part of the community. 12-7-Games.com was our sponsor for many years. They closed up show to focus on their other business. We thank Bill Dettmers and the entire 12-7-Games crew for their support over the years. This also means we need a new sponsor. 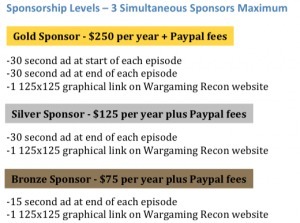 Please contact me at jonathan@wargamingrecon.com if you would like to sponsor the show or know someone who might. Get Your FREE audiobook download with a 30 day FREE trial of Audible. Audible – Get a FREE audiobook download with a FREE 30 day trial. I’m listening to Jurassic Park by Michael Crichton. If you liked the film Jurassic World you’re sure to enjoy Jurassic Park. The Great Wargaming Survey is BACK! Click the picture above to take the survey. In 5-10 minutes you’ll fill it out, be eligible for some great prizes, and get 10% off your next purchase from Karwansaray Publishers. 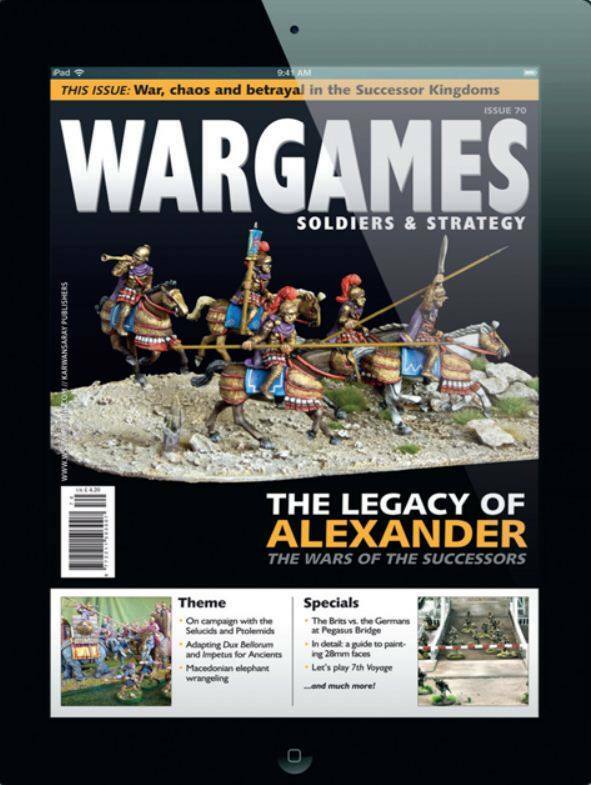 Use your 10% off with our below deal to Get a 1 year digital subscription to Wargames, Soldiers & Strategy magazine for the low price of $15.26. Wargames, Soldiers & Strategy magazine – Get a 1 year digital subscription for the LOW price of $16.95. Wargames, Soldiers & Strategy is one of my favorite wargaming magazines. 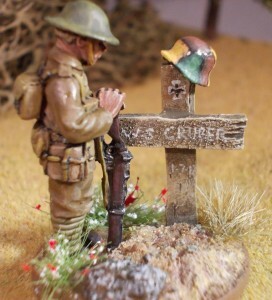 You could be the winning bidder for this beautifully painted limited edition Battlegames Combat Stress Appeal model painted by listener Dave of the Wargames @ BattleShades Facebook group.